Edgar Allan Poe, from whom I learned the word "ratiocination" when I read his "Murders of the Rue Morgue for a college course (Hard-Boiled Detective Fiction). Poe described these short stories as "tales of ratiocination." Twitter and @pbowden who introduced me to the concept of "for the win" (an "internet expression of enthusiasm") and its emphatic variant, "For. The. Win." J.J. Abrams, for being awesome. The Language Log, for clearing my conscience when I'm tempted to intentionally split my infinitives. 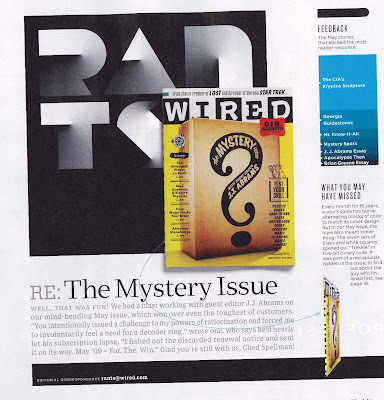 And for what it's worth, WIRED, you're welcome.